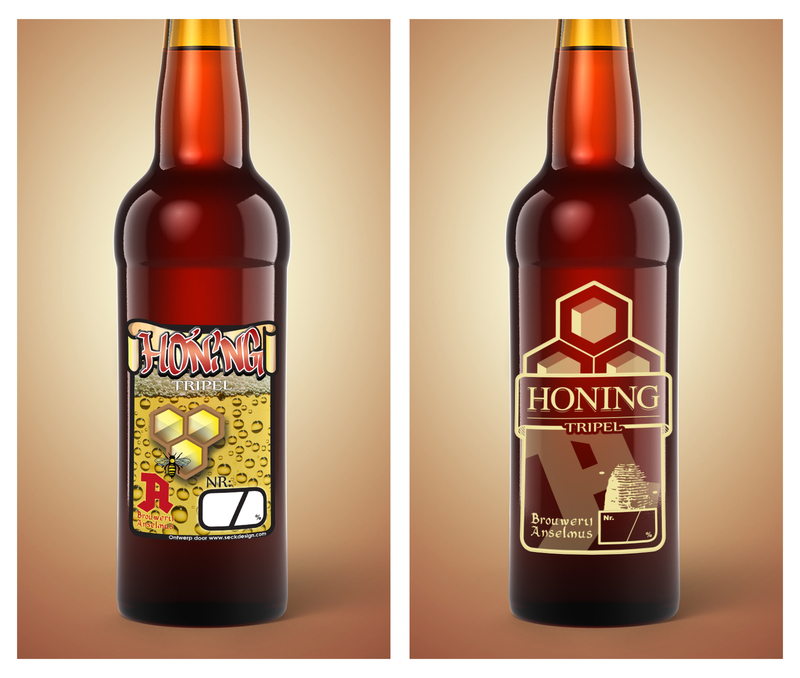 ..for my uncle's homebrew beer 'Honing Tripel'. A heavy hopped blonde beer with a touch of honey, to dream away with on a saturday evening. This is as short as I could describe it. My whole family consists of beer lovers, and with the knowledge my uncle has from his years as a medicine maker, he started brewing specialty beers way before I was born. This whole story intrigues me to this day. The way he chooses his hop, the way he writes down his recipe, the way he drinks his beer & refines those recipes, again and again. The passion is just always there. That is why, back in 2012 after a year in design school, the creative me decided to get into Photoshop and Illustrator to create the best beer label I had ever seen. I wanted to show him I got the same passion, but in an other profession. But... After almost 5 years, finishing design school, the brewery getting the name Anselmus & me starting Seck Design, I felt that the old design from 2012 was becoming outdated. I got out of bed at 4 am midnight, and started building the whole thing up once again - from scratch. What I heard in school a lot (and what you can easily see in my older work) was that my artwork was way overpowered. 'Less is more' is what they told me. And when I open one of my older artbooks or look at older work, I cannot deny it. I learned a lot from that one sentence. This quest is to be continued. We need to find an appropriate printing method for the new design, because it is transparent. Interesting. This is a concept we are working on. A mock up is shown below, with the old design (left) and the new one (right).